When you think about the phrase Environment House Design does it only mean energy efficiency? Hopefully you answer is no. An environmentally friendly house can entail many different strategies from energy efficiency, to lower carbon impact, to less impact on the natural environment it is being built in. What items are you interested in? These types of issues can be taken care of with careful new house design. You can incorporate air ventilation into the homes plans. You should consider having an interior greenhouse or other room which features plants. The plants aid in pulling toxins from the air and replacing it with cleaner air. Do you cringe at the thought of the added costs of making your new home more energy efficient? Many of the latest strategies in environmental design do not require much added cost. Passive solar lighting and heat can be added for almost no added cost. It is simply a matter of designing the home properly to utilize the site, home placement, and the location of windows in the home. 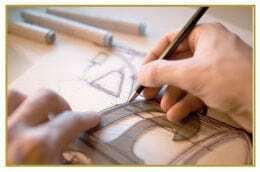 This does require working with drafting services which understand the environmental and energy impacts of the design. When you are talking to your draftsman about their house design services ask questions about low cost ways to make a more energy efficient and environmentally friendly home. 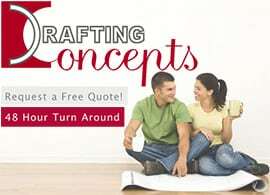 You may be surprised at how many ideas people like Daryl Wood or Kwang Ja Lim of Drafting Concepts Pty Ltd come up with. They can show you the latest ideas which are being used in Queensland to increase efficiency without destroying your budget. The best news of working with a company like Drafting Concepts is the free environmental house design quotes and consultation you can receive. You can get an idea of the design costs and items they will focus on without spending money. You probably are facing some budgetary guidelines you must maintain, but take a few minutes to consider your future, too. How will it affect your overall budget to spend more today on the most efficient heating and cooling system? Small increases in expenses today can often lead to large savings over the coming months and years. Energy costs continue to rise and reducing our usage is one way to keep our budgets under control. The same issues apply to water usage. 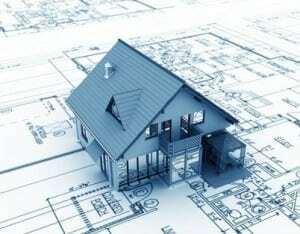 An efficient design from your drafting services should include water saving recommendations. Using fixtures which reduce you water usage might cost a few dollars more but will save you more in just a few months than you spent to implement low-flow fixtures. As you sit down to discuss your new house design, you should keep both your building budget and you monthly living budget in mind. If you can reduce your monthly bills how much more can you afford in the building budget? These are issues you should discuss during the process of your environment house design project and then make your final decisions on which way to go.